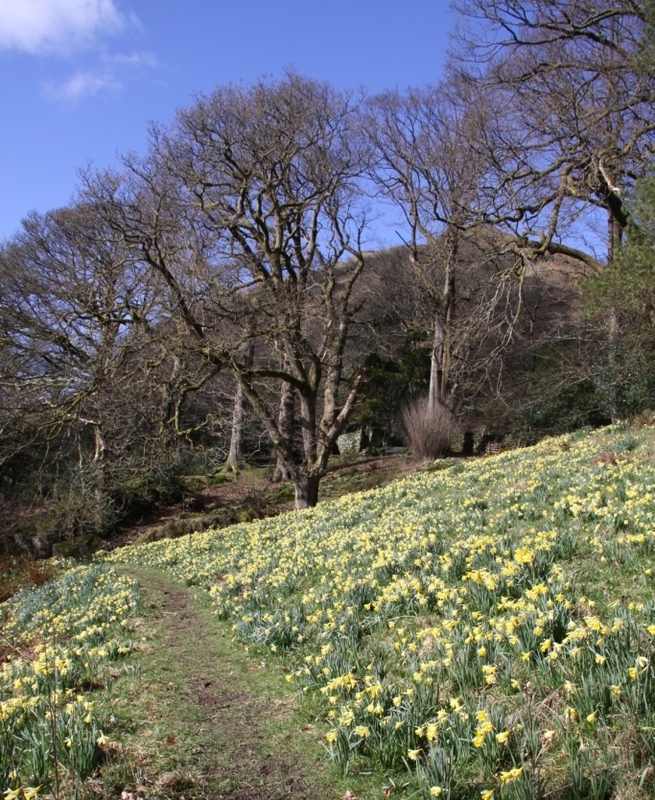 Dora’s Field in Rydal is probably the most famous spot in the entire UK for daffodils. It’s where the poet Wordsworth and his wife planted the beautiful spring bulbs in memory of their daughter Dora. 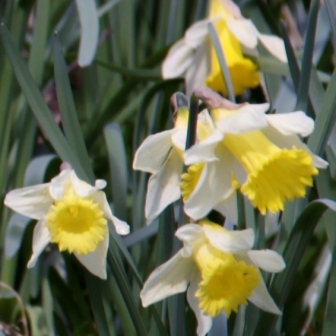 These daffodils are a beautiful variety with creamy white petals and a yellow trumpet. Dora’s Field is easy to find on the main road just 1.5 miles north of Ambleside at Rydal. 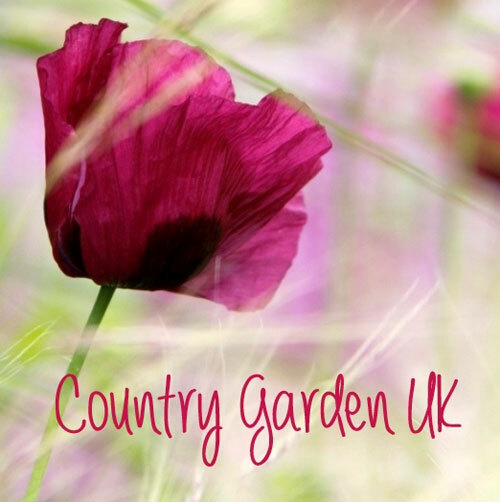 It’s a lovely garden with an interesting history. The field borders Wordsworth’s Garden at Rydal Mount (which is also open to the public) . The terrain is more hillside than field I would say. 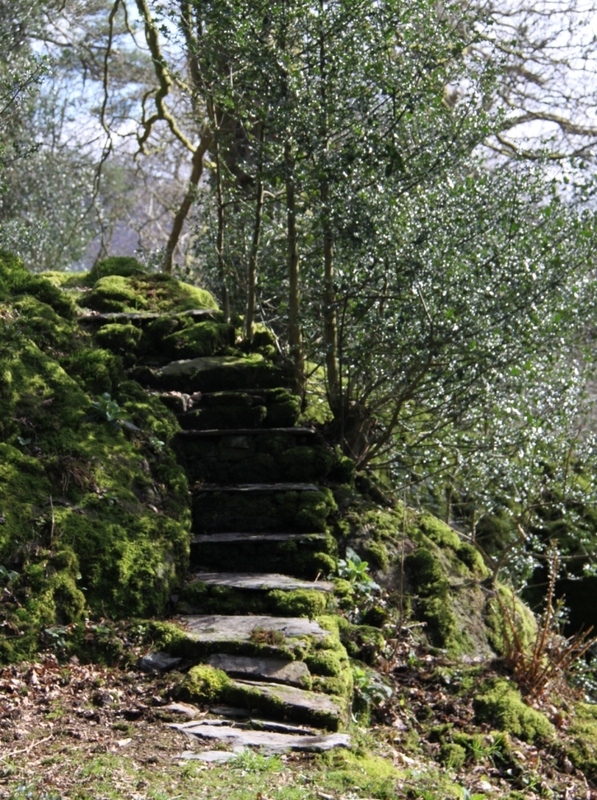 It’s quite steep and rugged with simple grass footpaths and mossy stone steps allowing access to all areas. Wordsworth rented his home from Lady Anne le Flemming in 1813 and by all accounts his family were very happy there. However in 1825 Lady Anne decided to allow her relatives to have the house instead. Wordsworth purchased this field right in front of Rydal Mount with the intention of building a lovely big house of his own there. Apparently he had plans drawn up by an architect however building work was not started because Lady Anne allowed the Wordsworth family to stay on in her property. 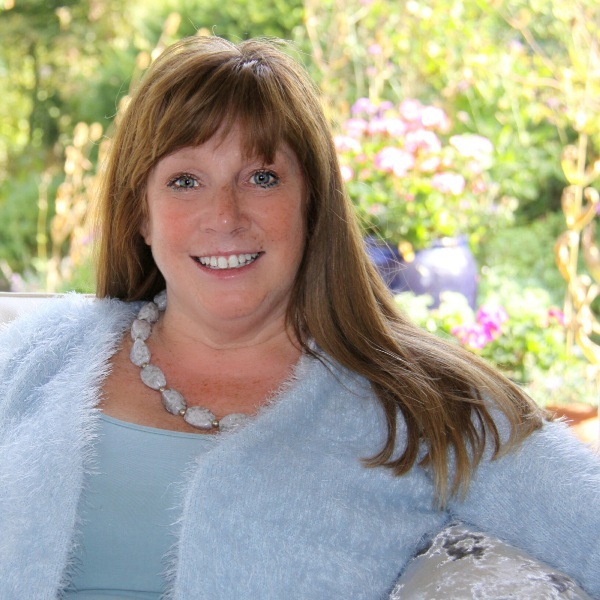 I wonder if her relatives changed their minds when they discovered that their views would be totally blocked by Wordsworth’s planned new home? Dora died of tuberculosis at the age of 43. 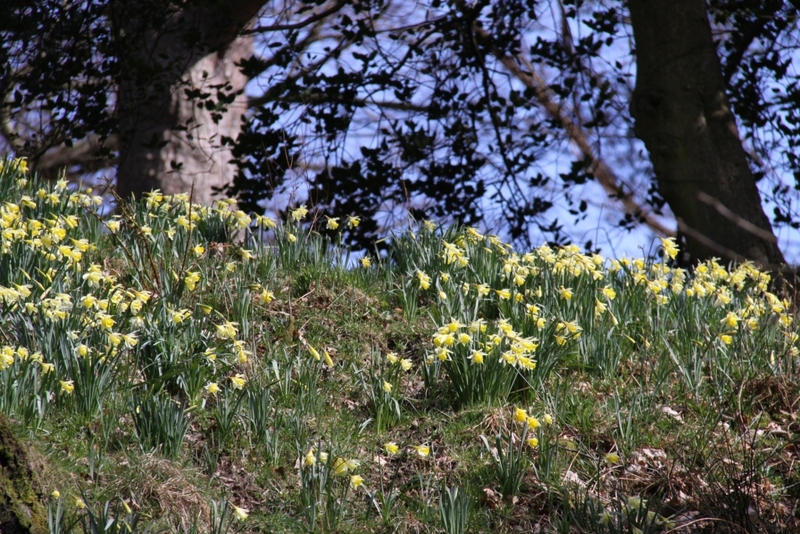 After her death her family and their gardener planted daffodils in the field as a memorial to her. Over time they spread and eventually carpeted the whole site. there must be thousands there now. The daffodils are followed in late April and May by English Bluebells. Dora’s Field is looked after by the National Trust. They maintain the paths and keep the field open by preventing the trees from taking over – there are Scots Pine, Oak, Beech and Holly mainly restricted to the perimeter of the site. If you are visiting the Lake District in March, April or May this is well worth a visit, especially if you are interested in the poet Wordsworth. Please see the National Trust website Great Walks in Grasmere page for more information… scroll to the bottom of their page to see Dora’s Field and Rydal Water.